IHG's senior vice-president, sales and marketing Europe, is juggling multiple hotel brands in shifting market conditions. It is 60 years since US entrepreneur Kemmons Wilson, dissatisfied with the roadside hotel options on offer when travelling with his family, opened the first Holiday Inn, in Memphis, Tennessee. While the anniversary is a proud milestone for all those involved with the brand, the chances are that most of today's visitors to hotels in the chain are more interested in obtaining a clean room with a decent-sized TV. Nonetheless, Matt Luscombe, senior vice-president of sales and marketing for Holiday Inn's parent company, InterContinental Hotels Group (IHG), has devised an idea that could engage consumers in the anniversary: a diamond giveaway. To commemorate its diamond jubilee, £30,000-worth of the precious stones are being left under the pillows of unsuspecting Holiday Inn guests across Europe. A digital drive will publicise this, and clues as to their location, via the brand's Facebook page, bring a 'treasure-hunt' element to the campaign (see below). The roll-out of the diamond promotion rounds off what Luscombe describes as a 'fantastic' year for IHG, the world's biggest hotel chain by room numbers, with its other brands including InterContinental and Crowne Plaza. In April, it made a high-profile appointment, bringing on board former McDonald's chief marketing officer Larry Light as its global chief brands officer to meet its strategic aim of developing and nurturing its brands. Closer to home, through its domestic partnership with LOCOG, IHG housed Olympics hopefuls and their entourages throughout the London 2012 Torch Relay and managed the Athletes' Village in Stratford, which hosted 17,000 competitors and officials. The company also ran a £5m awareness push featuring windsurfer Nick Dempsey and Paralympic table tennis champion Will Bayley to promote its involvement. 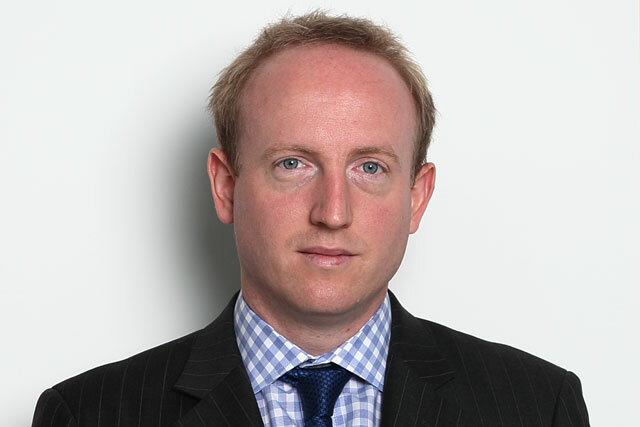 During the Games, Luscombe says the 65% of rooms across its 51 London hotels that IHG allocated to the organising body to sell were '90% full', despite media speculation that hotel rooms across the capital were being left empty after prices at many reportedly rocketed. The decision to sponsor the Games appears to have paid off (although IHG refuses to reveal the value of the deal); Luscombe says a comprehensive survey before and after the event found a 50% increase in consumers' intention to stay at a Holiday Inn. Perhaps the only bad piece of news this year has been an accusation from the Office of Fair Trading, following a two-year investigation, that IHG was involved in price-fixing with Booking.com and Expedia - an allegation denied by all three companies. While its fortunes seem to be on the up, however, Holiday Inn may find itself having to adapt to a shift in consumer demand. Gregoire Champetier, chief marketing officer of rival hotels group Accor, recently told Marketing that he plans to overhaul the positioning of its mid-range Novotel brand, because the mid-market is 'losing its identity', as consumers have come to expect mid-scale quality even at budget prices. 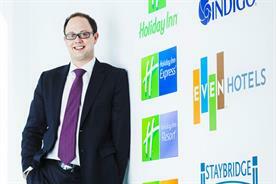 Furthermore, Simon French, travel and leisure analyst at stockbroker and investment banking firm Panmure Gordon, claims that, in addition to the mid-range hotel market becoming 'aggressively squeezed', the Holiday Inn 'brand family's' penetration in the UK lags behind the levels it has achieved in the US, and faces stiff competition from Whitbread's Premier Inn. So, is IHG feeling the pressure? Luscombe doesn't completely dodge the question, but, essentially, his answer is no. 'As my boss used to say, "No one ever got fired for staying in a Holiday Inn",' he jokes. 'When times are tough, corporate businesses still want their employees to have a full-service, branded and consistent-quality (hotel) experience, but not necessarily at the upscale or luxury end of the market,' he says. To push this home, he points out that the lower-range Holiday Inn Express brand is 'expanding rapidly' and the majority of its customer base in the UK is domestic. IHG has been hit hard by the recession, but also experienced the 'unexpected feature' of an increase in leisure travel, as consumers safeguarded their annual holidays. Over the past three years, Luscombe says it has increased room sales annually across all regions. In August, the business admitted to 'slow growth' in the faltering Eurozone, but reported a pre-tax profit of £114m globally for the three months to the end of June, up 60% on the period a year earlier, boosted by its operations in China. Luscombe argues that while costs and taxes for hoteliers have risen, IHG, and the Holiday Inn brand, have remained 'resilient'. He attributes this to the business' actions over the past three years, as when other businesses were slowing down their capital expenditure, it did the opposite. 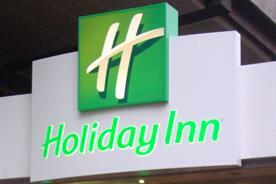 In 2009, Holiday Inn undertook a £600m global rebrand and refurbishment programme across its 3200-strong estate, bringing this to consumers' attention with a £65m marketing campaign. 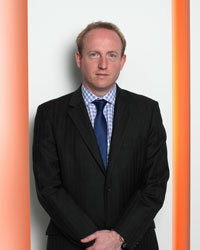 Luscombe's biggest challenge is to create 'joined-up' marketing across his region. This is easier said than done, however, as IHG operates predominantly on a franchise model. This means that not only must he pull together communications targeting a variety of customer bases for its spread of brands across several countries, but also accommodate many hotel owners. Luscombe keeps his focus by handling the group of brands 'campaign by campaign', so once he has distributed Holiday Inn's diamonds, he will turn his attention to Crowne Plaza. Luscombe claims it is one of the world's fastest-growing upscale hotel brands and, over the next few years, will undergo a similar process to the Holiday Inn overhaul. 'It is going through a transformation to improve the brand's quality and consistency, introducing new defining hallmarks, to take it to the next level,' he adds enigmatically. 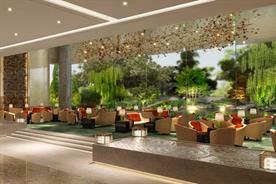 At the other end of the scale to brands such as Holiday Inn is IHG's boutique Hotel Indigo brand. With only nine properties across Europe, and marketed predominantly through social media, Luscombe claims it hits a 'real sweet spot' by making location key. 'Places with history and heritage, like Soho, which might not work for a big hotel brand, are perfect for a Hotel Indigo; it has a smaller footprint but still has links to the company through the (Priority Club Rewards) loyalty programme and a degree of quality assurance,' he says. Luscombe is also keen to rebalance the promotion-led and tactical marketing used heavily by hoteliers against long-term 'brand health' activities to support the future growth of his portfolio, which also includes the IHG corporate brand and Priority Club Rewards. The latter is the 'bedrock' of the company's CRM operation and has been crucial to IHG's fortunes through the downturn, says Luscombe. Being able to reward and thank loyal visitors with offers and promotions paid dividends, he adds, highlighting the company's 'road warrior' guests - the consumers who frequently travel as part of their job - as having helped to keep the group's bookings level. While stunts involving diamonds are bound to be sure-fire winners with consumers, Luscombe will need to be alert to shifting market conditions to ensure his brands retain their lustre. Lives Blaasveld - between Brussels and Antwerp - in Belgium. And another thing... Matt taught Jo how to row, and coached her to a silver medal at the 2004 World Championships. Holiday Inn's pan-European 60th birthday drive, which kicked off last month, offers lucky guests an unusual gift: a diamond under their pillow. To mark the anniversary, it has hidden £30,000-worth of the precious stones at random in its hotel rooms across Europe. Luscombe says this activity, which was devised by McCann Manchester, is IHG's most 'joined-up' marketing to date. Consumers can find clues to the diamonds' location on Holiday Inn's Facebook page. Further communication runs across mobile, digital and direct channels alongside IHG's loyalty programme, as part of an overarching global push. Balancing the communications for IHG's six hotel brands, its corporate brand and rewards club, across various European markets, while speaking to a range of customers. Creating 'joined-up' messaging across multichannel, multi-platform campaigns for individual brands. Keeping sales buoyant despite a generally slowing European economy.